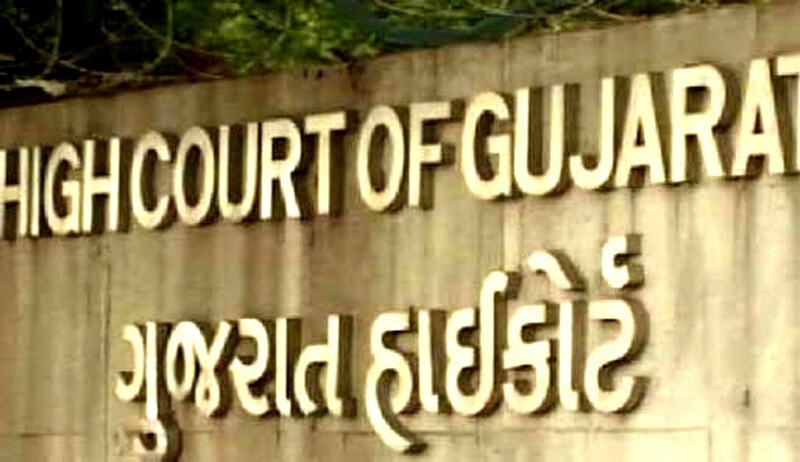 A Division Bench of Gujarat High Court recently issued notice [ORDER] on a petition challenging the validity and constitutionality of the Debt Recovery Tribunal (Procedure for Appointment as Presiding Officer of the Tribunal) Rules, 1998. The petition, filed by Indra Cotton Ginning and Pressing Private Limited (ICGPPL), contends that the rules impinge the principle of independence of judiciary and are therefore, violative of the guarantee of equal protection of the law provided by Article 14 of the Constitution of India. The Bench, comprising Chief Justice R. Subhash Reddy and Justice Vipul M. Pancholi, however refused to stay the proceedings initiated against ICGPPL by the State Bank of India, under the demand notice issued Section 13(2) of the Securitization and Reconstruction of Financial Assets and Enforcement of Security Interest Act, 2002. ICGPPL was issued a notice by the State Bank of India (Respondent Bank), under Section 13(2) of the SARFAESI Act, 2002, on April 15, 2015, initiating action under the SARFAESI Act. This notice was replied to, giving a detailed reply to the Respondent Bank, and disputing the creation of valid security interest in its favour. The Respondent Bank had thereafter taken symbolic possession of the properties. Being aggrieved by the measure, ICGPPL now approached the High Court, contending that it was “not in a position” to approach the Debt Recovery Tribunal, which is the forum prescribed under SARFAESI Act, for challenging any measure under Section 13(4) of the Act. It has contended that the DRT lacks independence from executive interference, especially the Ministry of Finance, which is the parent ministry of the Respondent bank. “That the petitioner’s right to have its rights, adjudicated by a forum which exercises judicial power in an impartial and independent manner, consistent with the recognized principles of adjudication, which is an adjunct of Article 14, is violated on account of the manner in which the appointment is made to the DRTs as per DRT (Procedure for Appointment as Presiding Officer in Tribunal) Rules, 1998,” the petition contends. The petition brings to the Court’s attention Rule 3 of the Appointment rules, which provides the composition of the Selection Committee responsible for appointing Presiding Officers in the DRT. The Selection Committee comprises of the Chief Justice of India or a Judge of the Supreme Court of India, Secretary to the Government of India in the Ministry of Finance, the Secretary to the Government of India in the Ministry of Law and Justice, the Governor of the Reserve Bank or the deputy Governor of the Reserve Bank, and the Secretary or Additional Secretary to the Government of India in the Ministry of Finance. It contends that the presence of only one judicial officer on the committee, and four executive members “seriously compromises the independence of the tribunal”. Further, presence of members from the parent ministry has also been alleged to be violative of the guidelines issued by the Supreme Court in the case of Madras Bar Association v. Union of India. The petition hence terms as “eyewash” the consultation of the Central Government with the selection committee for appointment of members. ICGPPL also challenges the Rule relating to meeting of the Committee as arbitrary, unreasonable and unconstitutional. This rule states that any three members of the Committee, including the Chairman, shall form a quorum for meeting of the Committee. It contends that such a quorum requirement, wherein two members can be from the parent Ministry is a “blatant breach of the principle of Independence of Judiciary and Separation of Powers”. Rule 5, which states that the appointment of a Presiding Officer would be made from a list of candidates prepared by the Ministry of Finance, has also been termed as “eyewash”. Further, Rule 8 has been demanded to be struck down, on the ground of it bestowing unbridled power on the Central Government to suspend the Presiding Officer. The petition also challenges Section 16 of the RDDB Act, 1993 to the extent that it bars judicial review of orders appointing Presiding Officers of DRT. Debt Recovery Tribunal (Procedure for Investigation of Misbehaviour or Incapacity of Presiding Officer) Rules, 2010, as well as Debt Recovery Tribunal (Financial and Administrative Power) Rules, 1997 have been demanded to be quashed.